Continental, c. 1880. Decalogue shaped. 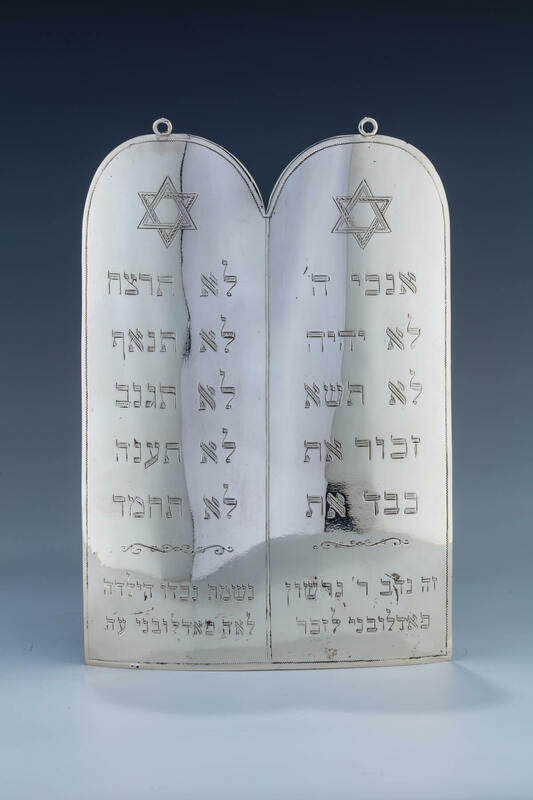 Engraved with Ten Commandments and two Jewish stars. Further engraved in Hebrew with donor information: “THIS WAS DONATED BY RABBI GERSHON PODLUBNY IN MEMORY OF HIS GRANDCHILD LEAH PODLUBNY” 8.3” tall.